Getter films for MEMS getter material are products specifically designed for vacuum packaging of MEMS. 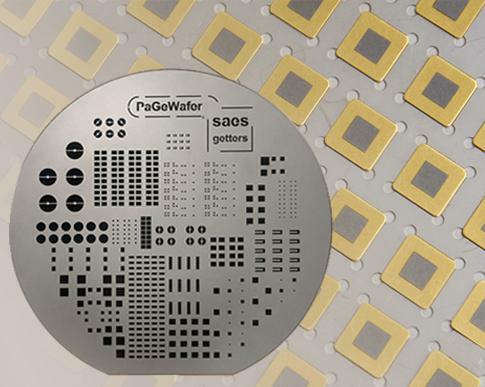 For both wafer level (PageWafer®) and discrete (PageLid®, PageSheet®) MEMS packaging SAES offer a variety of different solutions that enable hi-vacuum performance, long term stability and device reliability. The getter for MEMS are common and technically accepted way to maintain and control vacuum in hermetically sealed MEMS used in a large number of applications such as defense & security, automotive, industrial and consumer.